Officer Kelly runs and jumps comically well in Keystone Kapers. Taking inspiration from the Keystone Cops, a series of slapstick films from the 1910s, Garry Kitchen’s Keystone Kapers nails the humorous exchange between Officer Kelly and Harry Hooligan with animation alone. Harry has ripped off Southwick’s and Officer Kelly is hot on his heels in the expansive four-story department store. Although Harry has a massive head start, Officer Kelly runs comically fast; and whoever said white men can’t jump must have never met Kelly. Regardless of speed or mad hops though, knowing the stage layout is the most important factor. With four floors, getting around and catching Harry can be difficult, even with elevators and escalators. I found that I used different methods depending on the stage because Harry would immediately run the opposite direction as soon as we were on the same floor. These updated strategies were prompted by the ever-growing amount of obstacles that I’d have to have Kelly jump over and duck under. There was a puzzle solving element to the game as I advanced to new stages and had to combat the obstacles. 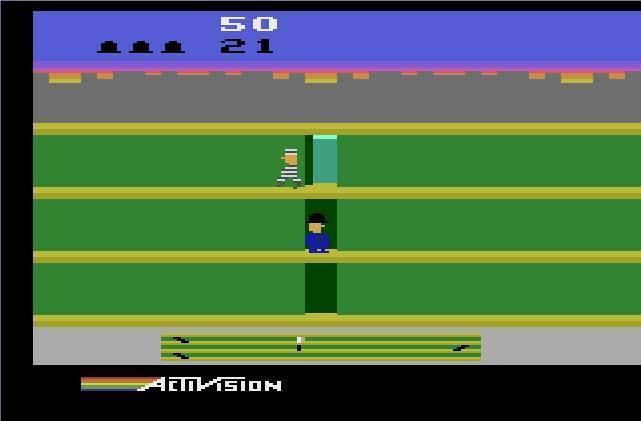 Sega’s Bonanza Bros. must’ve been inspired by Keystone Kapers, Activision’s cops and robbers game. 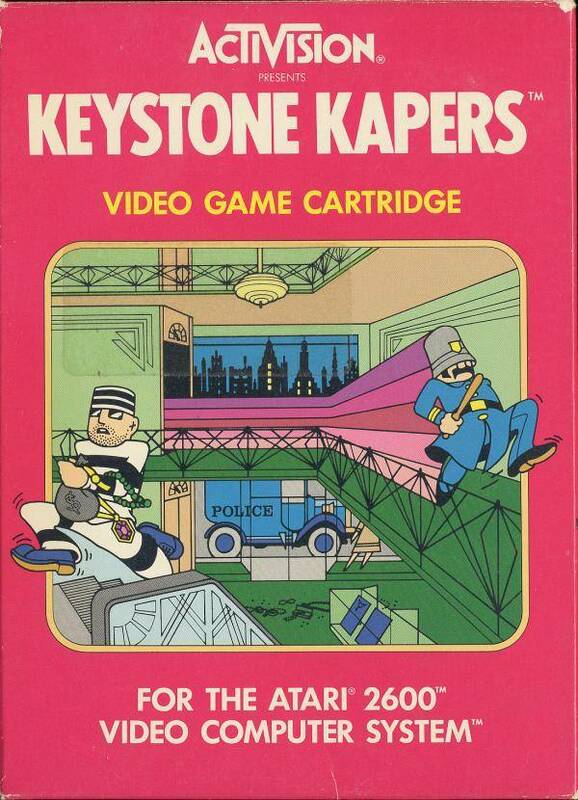 Originally released on the Atari 2600 in 1983, Keystone Kapers was ported to a few other home consoles/computers of the day. Scoring 10,000 points or more in Activision Anthology will unlock access to “The Billy Club” and the game’s related patch. The original requirement was 35,000 points.